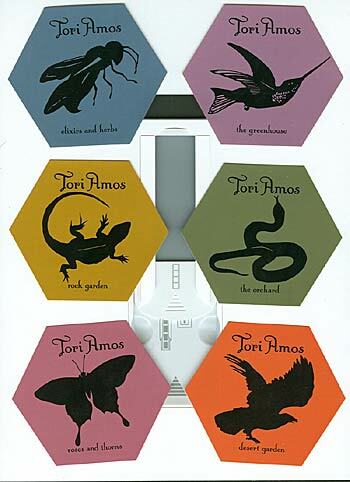 Today, Tuesday, December 6, 2005, is the official release date of the complete bootleg box set from Tori Amos. This 12-CD box set (pictured to the left), which is available at Toribootlegs.com, is also being sold at many various online vendors, like Amazon.com, under the name The Original Bootlegs. 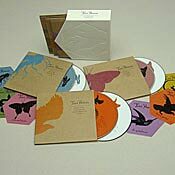 ToriAmos.com also says that the box set could be at your local record store as well. As reported earlier, the box set contains all 6 official bootlegs as well as a blind-embossed slipcase and 6 hexagon stickers with the artwork for each bootleg. You can find the complete track listing for the box set and sample clips at Toribootlegs.com. Most of you remember the offer from Toribootlegs.com that claimed that if you purchased the first five bootlegs from them by November 22, 2005, you would received the sixth bootleg from Boston for free along with the slipcase and the stickers. I can report that several Toriphiles received their free bootleg and other stuff on Monday, December 5th! Since the last bootleg did not come out until now, it would make sense that most Toriphiles will get their free stuff sometime this week. So if you did not get yours yet, it is likely coming soon! 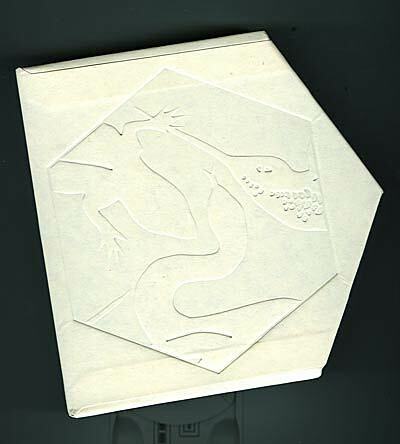 The sixth and final bootleg double CD was officially released today as well at Toribootlegs.com (and as mentioned above is part of the box set). It was recorded at the Bank of America Pavilion in Boston, MA on August 21, 2005. The box set itself is a very nice item! 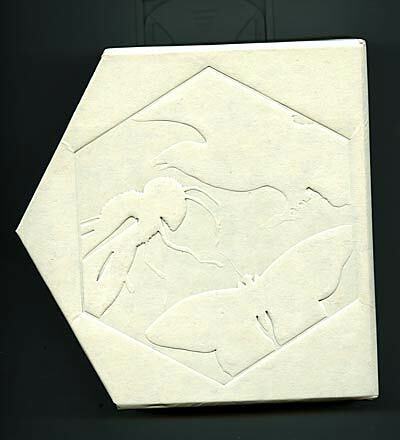 Each side of the slipcase has the honeycomb imprint with each of the animals/insects also imprinted in the comb. Click the details link to see scans of the slipcase and the stickers kindly sent to The Dent by Adam. Here are scans of both sides of the bootleg box set slip slipcase and all the hexagonal stickers. Thanks to Adam for sending these to the Dent. Click on any thumbnail to see it larger.